The eldest daughter and second child of Henry VII and Elizabeth of York, (the daughter of King Edward IV) Margaret Tudor was born on 29 November, 1489 at the Palace of Westminster and was christened on St. Andrew's Day, 30th November at St. Margaret's Church, Westminster. She was named in honour of her paternal grandmother, Margaret Beaufort, who stood as her godmother, along with her maternal grandmother, Elizabeth Wodville. Before the princess was six, negotiations for her marriage commenced to Scotland's King James IV, which were to drag on for many years, by the marriage her father hoped to end Scottish support for the pretender Perkin Warbeck. On 24 January 1502 Scotland and England concluded the Treaty of Perpetual Peace, which involved the marriage between the Princess Margaret and James IV (pictured below right), sixteen years her senior, which was completed by proxy. It lead to a rise in Margaret's status at the English court, as she was now regarded as Queen of Scots. Reportedly her young brother, Henry, Duke of York (the future Henry VIII), reacted in a tantrum upon realizing his sister now held higher precedence than he did. Margaret's mother died at the Tower of London in 1503, from complications after childbirth. The marriage was completed by proxy on 25th January 1503 at Richmond Palace. 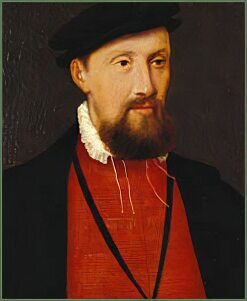 Patrick, Earl of Bothwell, was proxy for the Scottish King and shortly after Margaret commenced the long journey to her new home in Scotland. Henry VII escorted his daughter part of the way north, calling en-route to see his aged mother, Margaret Beaufort, at her home in Collyweston. After crossing the border at Berwick upon Tweed on 1st August 1503, Margaret was met by the Scottish court at Lamberton. On 8th August 1503, the marriage was celebrated in person in Holyrood Abbey. Margaret was then 13 years old and James 30. 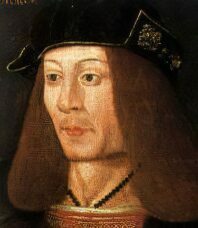 James IV professed himself well pleased with his young bride, the poet William Dunbar wrote the The Thistle and the Rose to commemorate the occasion. The new Queen of Scotland was crowned at Edinburgh in March 1504. Although Margaret was initially homesick, the marriage was to prove a relatively happy one by royal standards and the couple were to produce four children, including the future James V.
On the death of Henry VII in 1509, the volatile and aggressive Henry VIII ascended the English throne and soon involved himself in war with France, Scotland's ancient ally. In 1513 James invaded England in Henry's absence in support of his French allies where he met an English army under the command of the Earl of Surrey at the Battle of Flodden. James was killed in battle and Queen Margaret became Regent for her young son James V, by the terms of her husband's will. At the time of her husband's death, Margaret was pregnant, she gave birth to his posthumous child, Alexander, born on 30th April 1514, he was given the title Duke of Ross. Soon after the battle, the Scottish Parliament met at Stirling Castle, where it confirmed Margaret's position as Regent. A pro-French party however urged her replacement in the office by John Stewart, 2nd Duke of Albany, the closest Stewart relative to the infant king and next in line to Scotland's throne after Margaret's sons, who returned to Scotland from France. To acquire a powerful ally, Margaret secretly married Archibald Douglas, Earl of Angus (pictured right), on the 6th of August 1514. By the terms of her the late husband's will she had now lost the regency and was obliged to consent to the appointment of Albany. It was also decided that she had also forfeited her rights to the supervision of her sons, Margaret fled with her sons to Stirling Castle. She was finally forced to surrender her sons and shortly after fled to seek refuge in England. A month later she gave birth to a daughter, Lady Margaret Douglas. While in England, she received news of the death of her youngest son, Alexander, Earl of Ross. In the summer of 1516 Margaret returned to her brother, Henry VIII''s court, where she was well received and lodged at Scotland Yard. Angus himself returned to Scotland, where his estates were restored to him by Albany. Margaret by this time wanted a divorce from her second husband, whom she had discovered had been living with Lady Jane Stewart, his former mistress. After spending a year in England, Margaret returned to Scotland in 1517, after a treaty of reconciliation had been worked out by Albany, Henry and Cardinal Wolsey. In October 1518, she wrote to her brother Henry VIII, "I am sore troubled with my Lord of Angus since my last coming into Scotland, and every day more and more, so that we have not been together this half year. I am so minded that, an I may by law of God and to my honour, to part with him, for I wit well he loves me not, as he shows me daily." Margaret attempted to commence divorce proceedings, which her brother viewed with displeasure, although the move gained Albany's support. Albany returned to Scotland in 1521 and the Queen joined forces with him against her errant husband. Angus was eventually forced to withdraw to France, where he remained a virtual prisoner. The hectic minority of James V was proclaimed to end in 1524, when he reached the age of twelve, which saw Albany ousted from power. Margaret became involved with Henry Stewart. With the aid of Henry VIII, the troublesome Angus returned to Scotland in 1524, when he arrived in Edinburgh Margaret ordered cannons to be fired at her husband from Edinburgh Castle and Holyrood House. He was finally admitted to the Council of Regency and Parliament subsequently declared him Lord of the Articles. Taking custody of the person of the young king he remained in a position of total power in Scotland for three years. Pope Clement VII finally granted her divorce from Angus in March, 1527, and Margaret promptly remarried Henry Stewart, previously her treasurer and a son of Andrew Stewart, 1st Lord Avondale, who was created Lord Methven by James V, despite the thoroughly outraged protests of her brother that marriage was "divinely ordained". James emerged from the unwanted attentions of Angus, and began to rule Scotland in his own right. Her third marriage to Lord Methven proved as equally unsatisfactory as her second, Methven seemed to be interested only in her money and the pursuit of other women. The only child of the marriage, a daughter (possibly called Dorothea Stewart), died in infancy. She was once again eager for divorce but proceedings were frustrated by James, who she believed her husband had bribed. She wrote frequently to her brother in England with requests for money and bemoaning her situation. She even tried to escape to England but was captured at the border and returned to Scotland. Margaret's attempts to again divorce were thwarted by her son. She attempted to arrange a meeting between James and Henry VIII in 1534, but James accused her of disloyalty and ceased to trust her. James married Princess Madeleine, daughter of the King of France, in January 1537, but Madeleine was delicate and died in July of the same year. 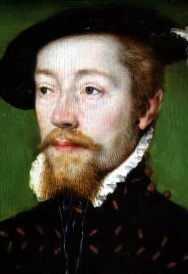 James married for a second time to Marie of Guise, the daughter of Claude, Duke of Guise. 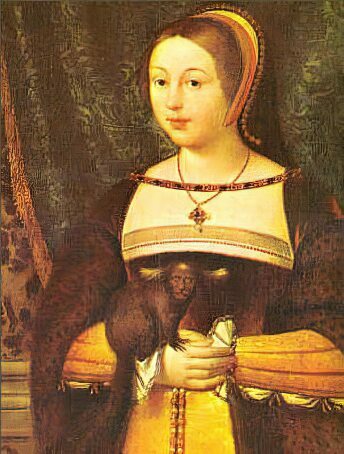 Margaret Tudor died at Methven Castle on 18 October, 1541, probably as a result of a stroke. She sent for her son James, but he did not arrive in time. Near the end she expressed the hope that the King would give her possessions to her daughter, Lady Margaret Douglas. James arrived at the castle after his mother's death and ordered servants to pack her belongings for his own use. Margaret was buried at the Carthusian Priory of St John in Perth. Her tomb was demolished at the Reformation. 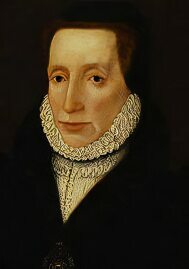 Her granddaughter, James' daughter Mary Queen of Scots, married her grandson, Henry Stuart, Lord Darnley (the son of her daughter Margaret Douglas). The only child of this marriage, James VI, King of Scots, became King of England on the death of Queen Elizabeth I on 24th March 1603.